So, I’m getting super old tomorrow, and my buddy Matt Edwards arranged for Dave Sim to call me and wish me a happy birthday. If you don’t know who Dave Sim is, well, then we need to talk. Dave Sim started a comic book called “Cerebus” in the golden age of independent comics — and kept going with a phenomenal 300 issues for the entire series. The book was black and white with color covers, and what makes him different from independent creators of comics like Teenage Mutant Ninja Turtles is that he did it all by himself. Well, he had help with the backgrounds from a guy called Gehard, but he didn’t just write and draw the bulk of the book, he took care of the whole printing and distribution business. And he did most of it on time and he NEVER compromised quality. He kept the whole story his. And while his book may not be for everyone, it was a treat and inspiration for me. Nowadays, he has his hands in quite a few projects and will do a bit of work on covers or what-have-you. He is working on a new work that is a few years away (he just told me that! Scoop!) that could be artistically one of the biggest challenges of his life. Dave Sim also was the first guy to pay me for my art. Back in the 90s, he was reprinting his books and was offering cash for a single page comic story (called “The Single Page”) and asked for submissions from all over. I did a very horrible little vanity strip about comic wish fulfillment and lo and behold I got a check in the mail. 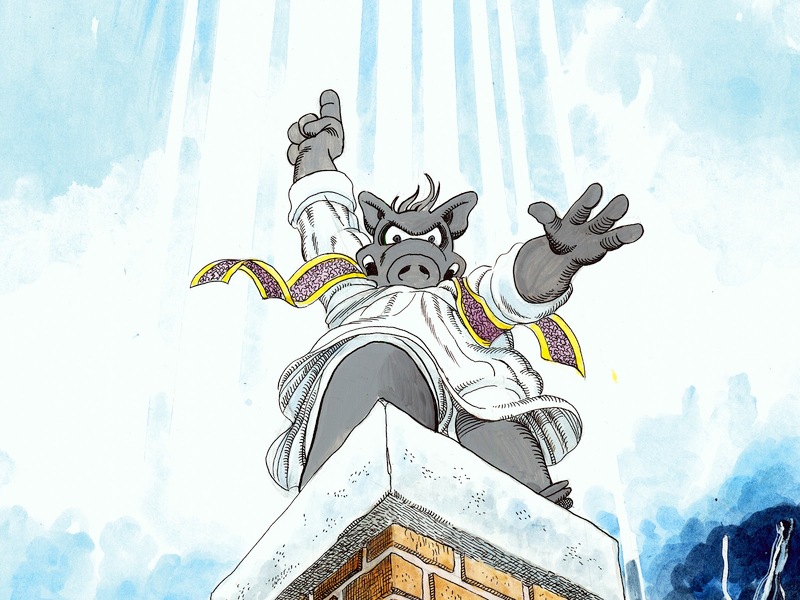 A few weeks later, I got a pile of Cerebus Church & State #25 WITH MY HORRIBLE COMIC STRIP IN IT! Thus bolstered in artistic competence, I sent a comic strip idea to a local paper – AND THEY WENT FOR IT. For a pittance a week, I published “Drawing From Life” – a not as horrible vanity strip I drew for a year and a half. By that time, I got a job as Ad Compositor for the newpaper, and was eventually able to build that into a Technical Illustrator – a job I had for 14 years before starting the shop. Anyway, I thought it was awesome! Thanks Dave! And Matt! Now THAT is cool. As someone that knows what a fan you are, you must have been beside yourself! Great Present. Wish I thought of it!